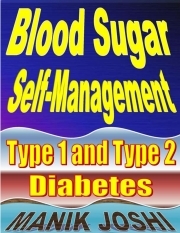 Description of "Blood Sugar Self-management (eBook)"
19. Treatments -- (I). What to Avoid? The blood sugar (glucose) level is the amount of sugar (glucose) present in the blood of human or animals. When blood sugar (glucose) level rises too high, it's called hyperglycemia. When blood sugar (glucose) level drops too low, it's called hypoglycemia. 1. milligram/deciliter (mg/dL) -- Blood sugar is measured in milligram/deciliter. 3. DCCT HbA1c (%) -- Blood sugar levels over the last 3 months are measured through an A1C test. Findings are represented as a percentage. The range may fall in between 4-15%. Red blood cells in our body may last up to 3 months (or 12 weeks) before getting regenerated. Therefore, average of glycated hemoglobin in blood over 3 months is taken for discerning the average blood glucose level. 4. IFCC HbA1c (mmol/mol) -- Findings of A1C Test may also be represented in millimols/mole (mmol/mol). Lower levels of glucose produce a lower amount of glycated hemoglobin. Higher levels of glucose produce a higher amount of glycated hemoglobin. Reviews of "Blood Sugar Self-management (eBook)"